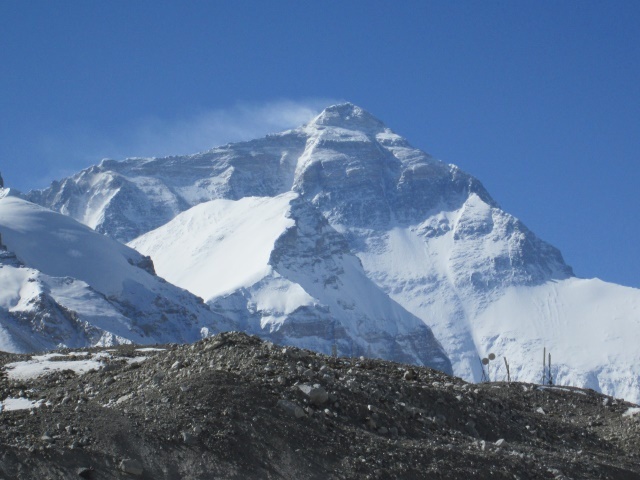 On April 30, all climbers of our group, including Lhakpa and I, left base camp in an overloaded bus. We all knew this would be a long ride and that is why we were not too happy when we saw the small bus arriving in base camp to pick us up (yes, you can reach Everest North Side base camp by car or jeep…). Well, this was the only way to get out of base camp and we were actually in a good situation, since this was one of the first buses that arrived here. According to the information we had, there were about 150 climbers in this camp, and all of them hat to be moved out of the earthquake zone (defined by the Chinese authorities) in the next few days. 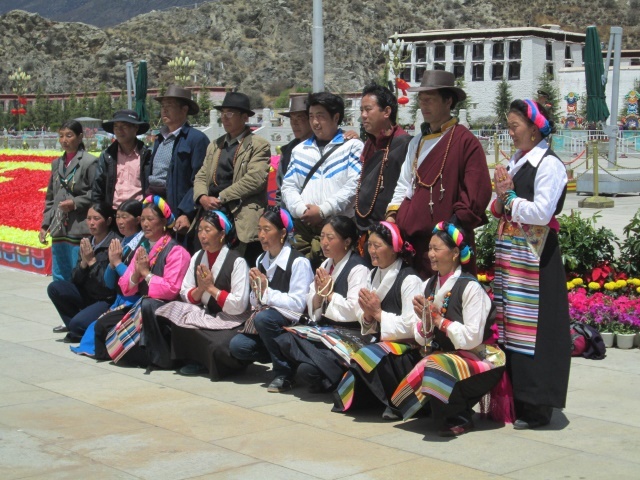 … and Chomolungma, “Mother Goddess of the Universe”– I bow to you with the utmost respect! 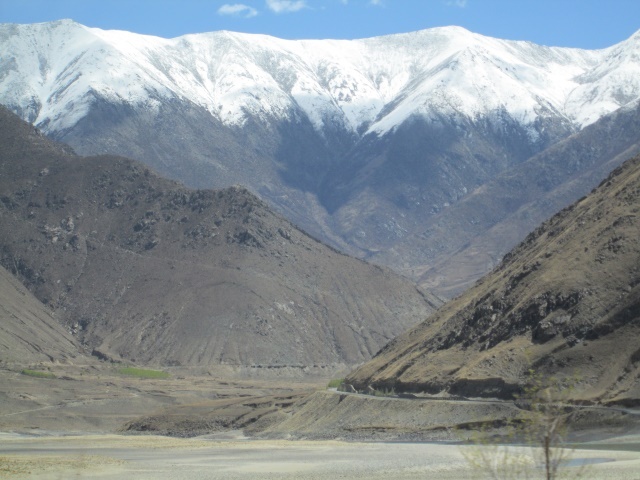 The first three hours we drove over typical unpaved Tibetan road back to the village of Tingri, and from there it was another 5 1/2-hour ride to the city of Shigatse. We arrived there around 12:30am, had dinner (!!! 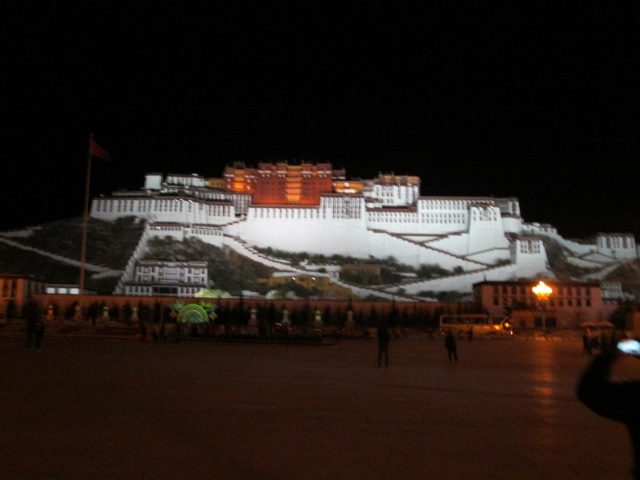 ), went to bed and left the next morning for Lhasa. We arrived in the Lhasa about 6 hours later and all of us where glad to be on our final destination (at least in terms of a 750km/470mile bus ride). As soon as Lhakpa and I got into our room, I had to figure out if there were actually planes flying to Kathmandu, because no of our climbing mates had the intention to go even near Nepal, so Lhankpa and I were alone with this challenge. My personal goal was to bring Lhakpa as soon as possible back to his family (which is still sleeping in a tent since the earthquake stroke). 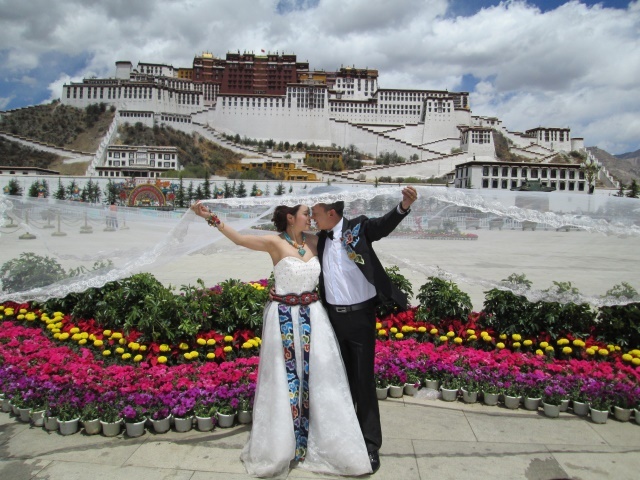 It turned out that there were two planes leaving Lhasa for Kathmandu the next day. 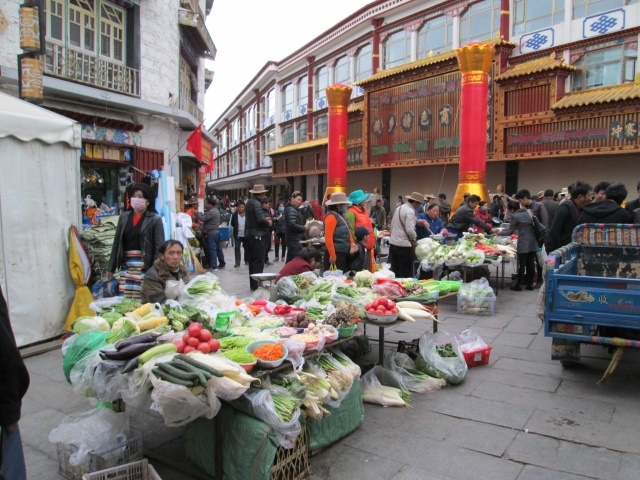 I booked two one-way tickets Lhasa – Kathmandu and the rest of the day Lhakpa and I explored Lhasa. It was the second time for me in this exciting city, but this time I was walking around with a devoted Buddhist from the Himalayas, and this was an amazing experience for me. Lhakpa, living in a small village in the Khumbu area in Nepal, would rarely have a chance to come to the center of his religion, so I was very happy to see the joy in his eyes, especially when he entered the Potala Palace. 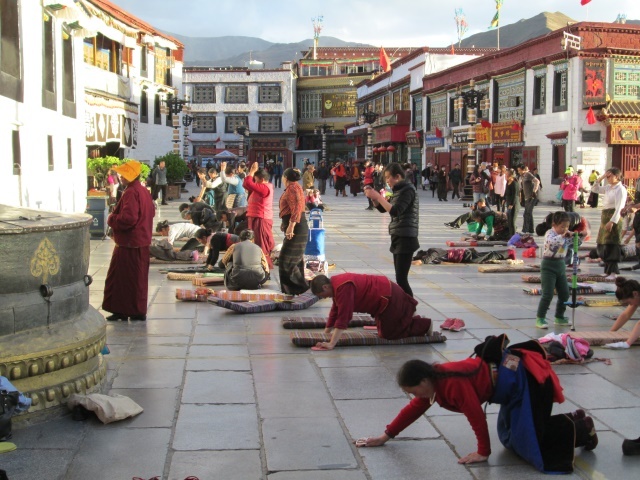 In the evening we went to the old town (my favored place) and turned “our rounds” around several monasteries (an important part of their religion) with many other Tibetans. 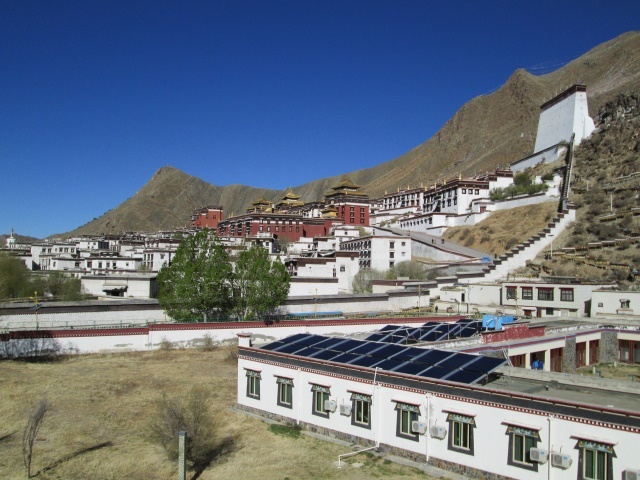 Lhakpa really enjoyed Lhasa during our short stay we were there and this really made me feel good. I was so glad that I was able to bring him so far. Now, the next step, traveling in Nepal to his home village, will be even more important. 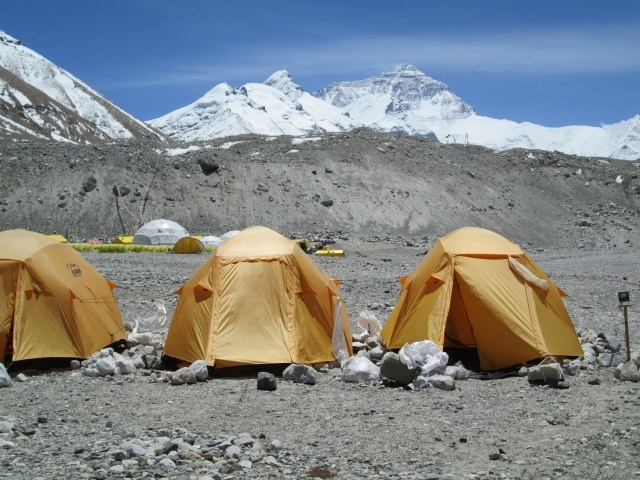 Once in a while I felt bad for the many other Sherpas who were still in base camp. They too, like to see their families in Nepal as soon as possible! Unfortunately, there was nothing I could do besides hoping that the expedition leaders will help them to go home safely soon.